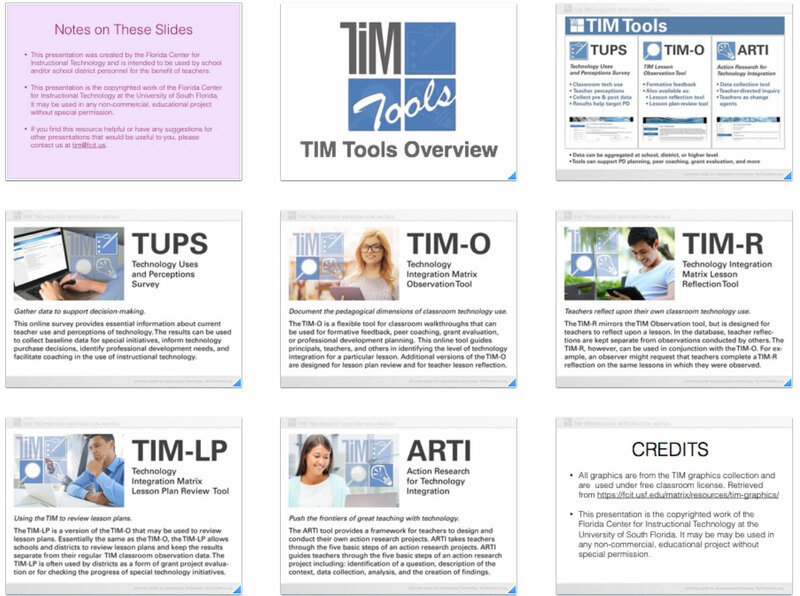 This presentation introduces the components of the TIM Evaluation Tools suite. The presentation is available as both a Keynote and a PowerPoint, as well as in your choice of standard 4:3 format or wide 16:9 format. The Keynote and PowerPoint versions are zipped for ease of downloading. You will need to unzip these files once you have downloaded them. You can also download a PDF version of the presentation.